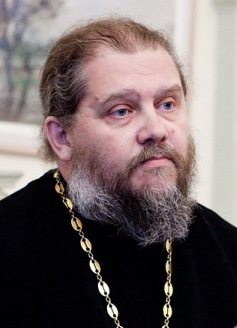 Archpriest Andrei Lorgus explains the mechanism of how people acquire the habit of judging others. As a psychologist, he traces the development of children comparing themselves with their classmates to their complete separation from people who were close to them. The Lord says: “Judge not, lest ye be judged!” We all remember very well, of course, that the Gospel exhorts us not to judge anyone; but, unfortunately, judging others is one of the most common of sins. 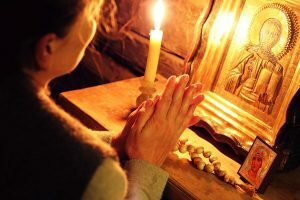 Moreover, we often commit this sin without even realizing it: that is, it is a kind of habit of judging and blaming others all of the time; therefore, this often comes up at Confession or a psychological consultation. The fact is that judging seems to have a “positive” aspect. When I judge, I feel I am better than those whom I judge. When I judge, I as it were strengthen my moral and ethical views and values. When I judge, I degrade another person and thus make him safer for myself. When I judge, I obtain the opportunity not to do the things that this person wants or expects me to do. But what is judgment? What is judgment of other people? It is comparison. It is always some kind of assessment according to a given scale. Someone is kind enough or not kind enough, someone is bad or not bad enough, educated enough or not educated enough, and so forth and so on. We all have dozens of drastically different social, ethical, and moral rules, according to which we can evaluate a person and say: “He is such and such.” And if we find that a certain number of these characteristics are bad, sinful, unworthy, and despicable, it will be judging in the true sense of the word as we usually understand it. But how can we unlearn the habit of judging others if these rules seem obligatory, essential, and extremely important to us? Of course they are essential! We need them in our lives, in relationships with others in one’s family or at work, and in society. People need rules. However, rules are rules, but what are we doing with such a function as evaluation? We evaluate others all of the time; we evaluate ourselves as well, of course, but this function replaces our treatment of others: it replaces love, compassion, and attention to others. We think that this means caring for someone. 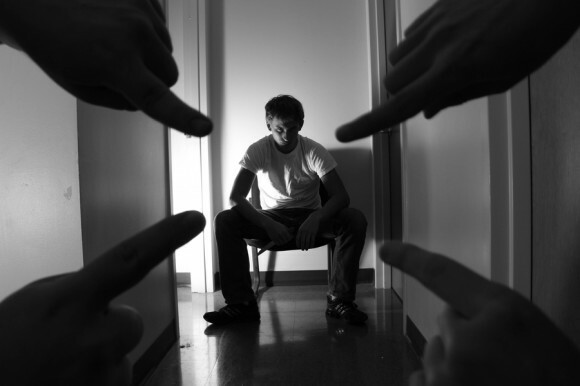 We are from childhood used to evaluating others and are accustomed to others evaluating us. And this is a bad habit. This is bad pedagogy, which we were taught by our parents, and especially at kindergarten and school, when children are always compared to one other. So, for example, Masha does her homework well, but Sveta does it carelessly. Or, for example, Olya draws lines and zeros smoothly, but Galya draws them crookedly. Or look at Misha, who made his bed so well, but you, Olenka, cannot make your bed properly. Look at your clothes, Mitechka, they are so untidy! Look at Natasha, her clothes are neat! This is what we have been taught to do since our infancy, and we continue to teach our children to do so: we compare them, doing it almost consciously. This is because we start to understand that comparisons make our child pay more attention to himself, to what he does, and to the way he behaves. That is, we say that we educate our children by comparing them with others and evaluating them in terms of others. That is, children make use of comparison and evaluation (and especially self-evaluation as a personal tool) as a mode of behavior in a group in order to gain more attention from an adult, to win, to earn praise, and to receive the best marks at school. At preschool age, in fact, this mode of behavior becomes permanent. This mode of behavior includes constant comparison and evaluation: “I am better than another. I have done it better. I got an A and he got a C. My notebook is clean and his is dirty”… and so on and so forth. We experience these unconscious reactions in the blink of an eye, so that we have no time to look back. This is our habitual treatment of others. Judging others becomes a way of treating another person. We are used to it. We use this attitude in the same way we were used when we were at preschool age. We still make use of this way of treatment that is wrong. From a psychological point of view, one could describe the Commandment “Judge not, lest ye be judged” as: do not compare. Do not compare and do not evaluate each other. It would seem that this would violate the main principle: the moral principle, because morality is based on certain rules and scales. Such is the case. People should evaluate their acts according to certain moral rules and values. 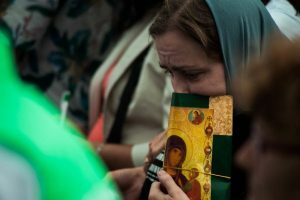 But according to the Holy Fathers, when a person has a righteous habit, he will no longer need evaluation, because this evaluation will be in his heart. If one’s heart lives by love, love becomes the main scale of evaluation. If I love someone, I do not need to see his mistakes. If I love someone, I do not need to notice how bad, sinful, or vicious he is. I will love him anyway, no matter who he is. Then I will need neither evaluation nor comparison, and I will not judge him. Moreover, if I am at least a little bit familiar with humility – at least in the form of accepting my life, image, and destiny – I can treat another person with humility. That means that I do not need to know what a person is in relation to ethical and moral rules. I am not his judge. But first of all, one should learn not to evaluate others.